Jet aircraft let prime ministers travel frequently and conveniently. 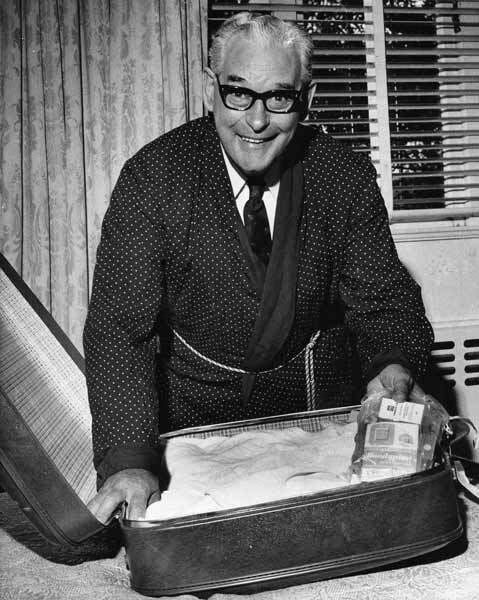 In 1965,‘Kiwi’ Keith Holyoake, who liked to cultivate a man-of-the-people image, posed in an incongruous dressing gown and collar-and-tie ensemble to show that the prime minister packed his own bags when travelling to a Commonwealth prime ministers’ conference. Holyoake revealed that he was carrying antibiotics to protect him from ‘the violent Mao flu’, a suitably Cold-War reference for that year’s outbreak of Asian influenza.